Preserve your classic paper documentation. and trash them when they are nolonger needed. 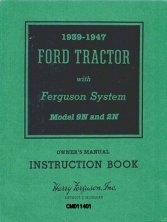 1939-1947 Ford Tractor with Ferguson System Model 9N and 2N Owners Manual Instruction Book. . 8N Operators Manual era 1952 4 Parts in 127 pages. . Classic Original 8N Operators Manual era 1948 4 Parts in 114 pages. . Service Manual Model 8N 1948-1952 7 Chapters 57 Pages. 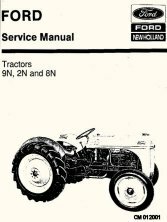 Updated to include service and shop procedures for 9N, 2N and 8N. . Tractor Shop Manual (9N-2N-8N) A MUST if you plan to rebuild your tractor. 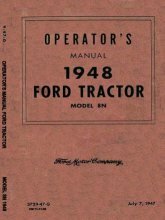 Contains valuable information and notes form various publications. 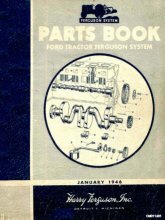 Provides details to rebuild the engine,transmission, electrical system, rear axle, brakes and other parts. 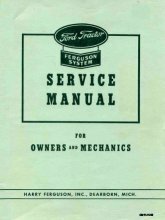 *NEW* Additional sections added that double the content of our original Shop Manual. . Classic 1943 Ferguson Service Manual 66 Pages of detailed repair information for the Ford Ferguson Tractor. .
Classic 1941 9N and 2N Detailed Parts and Assembly Catalog 1941 parts price list - You'll be amazed!! . 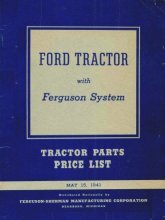 Classic 1946 Ferguson Parts Book Model 9N and 2N 52 Groups 91 Pages. . 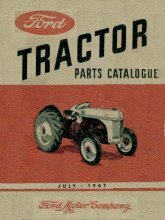 Original Classic July 1947 8N Tractor Parts Manual Every part of the 9N 2N and 8N Tractors described in 129 pages. . Master Parts Catalog 9N, 2N, 8N, NAA 1939-1953 31 Sections 216 Pages. 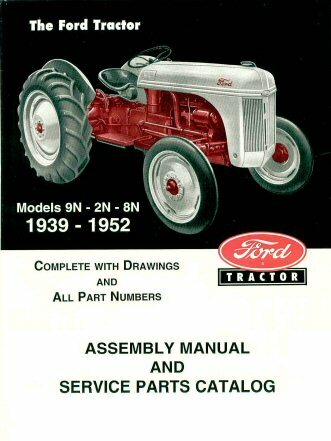 Detailed Parts Assembly for every part in the tractor. . N Series Tractor Assembly Manual (9N-2N-8N). 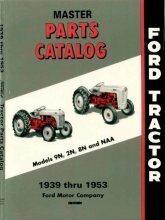 Contains detailed assembly and part information for all major assemblies in these tractors. There are 14 major sections plus a numerical index. 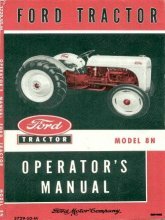 Over 180 pages of information . 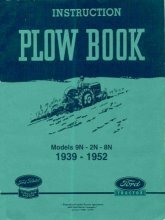 Dearborn Plow Book explains maintenance and operation of plows and how to plow a field. 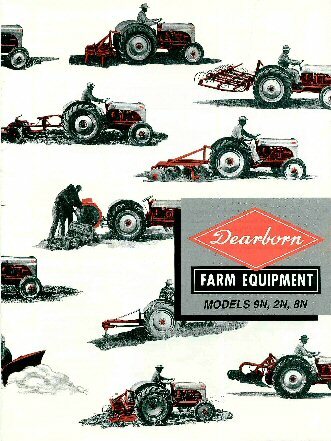 *NEW* Information on Sickle Mowers, Blades and More added doubling the content of the original Plow Manual. . Dearborn Plows Catalog. . Sickle Mowers Manual. . Implements Catalog. . Picture document describes the Dearborn 3 point tractor jack. There are dimensional details for constructing your own system. 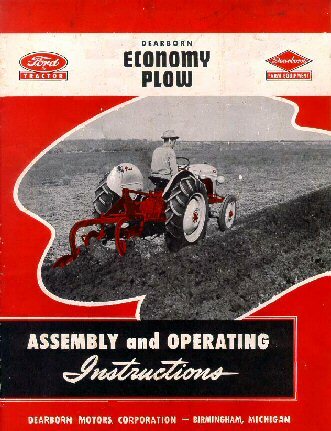 -NEW* Information for 3 point Boom Pole and Front mounted Snow Plow Blades. .
Delco Remy Technical Manual. 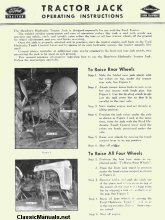 Generators and Voltage Regulators in 29 pages. . 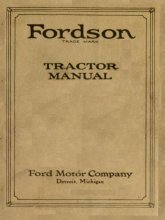 Original 1923 Fordson Operators Manual. . AEA Manual explains carbureted fuel systems in 54 pages.